Welcome to the first edition of the Australasian Parliamentary Review in the new online format. * (asterisk) Indicates these papers have been double blind reviewed to academic standards. 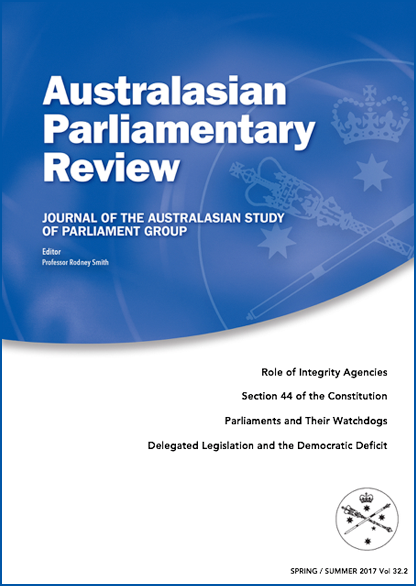 Material published in the Australasian Parliamentary Review is subject to copyright. Requests for permission to reproduce material from the APR should be directed to the Editor.